With much of the west having experienced a widespread rash of wildfires in 2018, Green Water Technologies says these areas’ water quality may have been affected.While there is very little homeowners can do to prevent wildfires, they can take steps to reduce the effects on their home and family after the fact. According to Green Water Technologies, wildfires can leave debris and impurities that filter into watersheds. This happens as organic matter dissolves into sediment. Poisons from smoke residue may be present for years after a fire event. 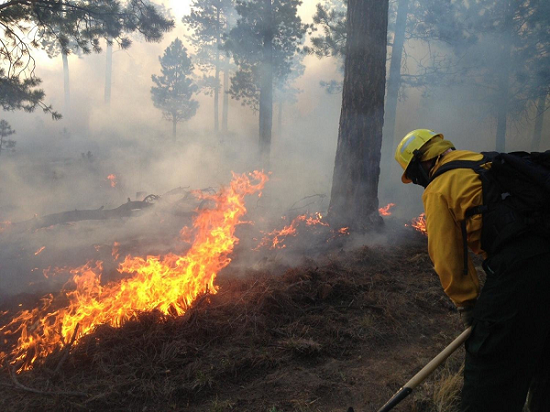 Wildfires are a common occurrence, especially in drier climates. And due to climate change, fires are becoming a more frequent concern, especially in the Western states of Oregon, Nevada, and California. Other areas, such as Colorado, are also affected. Green Water Technologies explains that researchers have studied the effects of post-wildfire contamination for many years. The long-term effects on human health remain uncertain. What is known is that an increase in sediments containing phosphorus and nitrogen can increase algal bloom. Further, the fire itself can degrade the land, creating conditions that encourage premature erosion. Green Water Technologies explains that the burden of restoring an area’s water quality falls onto its elected officials and environmental protection professionals. Appropriate agencies continually monitor water quality and make changes to local water treatment processes as needed. Homeowners can take steps to further protect themselves after a fire event by adding an additional barrier between contaminated water and their homes. A whole-home water filter, according to Green Water Technologies, is an affordable way to assure your home receives water with the fewest amount of impurities, including contaminants left over from fires. A professional-grade water filter can also remove calcium and magnesium, which are not harmful to human health but can damage a home by leaving solid deposits in the moving parts of water-consuming appliances.